Lenin Collected Works, Volume 18, pages 102-109. The great May Day strike of the proletariat of all Russia and the accompanying street demonstrations, revolutionary leaflets, and revolutionary speeches before gatherings of workers have clearly shown that Russia has entered a period of revolutionary upswing. This upswing did not come as a bolt from the blue. The way had been paved for it over a long period by all the conditions of Russian life, and the mass strikes over the Lena shootings and the May Day strikes merely marked its actual arrival. The temporary triumph of the counter-revolution was inseparably bound up with a decline in the mass struggle of the workers. The number of strikers gives an approximate yet absolutely objective and precise idea of the extent of the struggle. During the ten years preceding the revolution, from 1895 to 1904, the average number of strikers was 43,000 a year (in round figures). In 1905 there were 2,750,000 strikers, in 1906—1,000,000, and in 1907—750,000. The three years of the revolution were distinguished by a rise in the strike movement of the proletariat unprecedented anywhere in the world. Its decline, which began in 1906–07, became definite in 1908, when there were 175,000 strikers. The coup d’état of June 3, 1907, which restored the autocratic rule of the tsar in alliance with the Duma of the Black-Hundred landlords and the commercial and industrial magnates, was an inevitable result of the flagging of the revolutionary energy of the masses. The three years 19080-10 were a period of Black-Hundred counter-revolution at its worst, of liberal-bourgeois renegacy and of proletarian despondency and disintegration. The number of strikers steadily dropped, reaching 60,000 in 1909 and 50,000 in 1910. By the second quarter of this year these sentiments had become so strong that they manifested themselves in actions by the masses, and brought about a revolutionary upswing. The course of events during the past eighteen months shows with perfect clarity that there is nothing accidental in this upswing, that it has come quite naturally and was made inevitable by the whole development of Russia in the previous period. The Lena shootings led to the revolutionary temper of the masses developing into a revolutionary upswing of the masses. Nothing could be more false than the liberal invention, which Trotsky repeats in the Vienna Pravda after the liquidators, that “the struggle for freedom of association is the basis of both the Lena tragedy and the powerful response to it in the country”. Freedom of association was neither the specific nor the principal demand in the Lena strike. It was not lack of the freedom of association that the Lena shootings revealed, but lack of freedom from provocation, lack of rights in general, lack of freedom from wholesale tyranny. The Lena shootings, as we have already made clear in Sotsial-Demokrat No. 26, were an exact reflection of the entire regime of the June Third monarchy. It was not at all the struggle for one of the rights of the proletariat, even the most fundamental, the most important of them, that was characteristic of the Lena events. What was characteristic of those events was the complete absence of any kind of elementary legality. The characteristic feature was that an agent provocateur, a spy, a secret police agent, a menial of the tsar, resorted to mass shootings without any political reason whatever. It is this general lack of rights typical of Russian life, this hopelessness and impossibility of fighting for particular rights, and this incorrigibility of the tsarist monarchy and of its entire regime, that stood out so distinctly against the background of the Lena events as to fire the masses with revolutionary ardour. The liberals have been straining every nerve to represent the Lena events and the May Day strikes as a trade union movement and a struggle for “rights”. But anyone who is not blinded by liberal (and liquidationist) controversies will see in them something different. He will see the revolutionary character of the mass strike, which is especially emphasised by the St. Petersburg May Day leaflet of various Social-Democratic groups (and even of one group of worker Socialist-Revolutionaries! ), which we reprint in full in our news section, and which repeats the slogans advanced by the All-Russia Conference of the R.S.D.L.P. in January 1912. And then, it is not really slogans that are the main proof of the revolutionary character of the Lena and May Day strikes. The slogans formulated what the facts showed. The mass strikes spreading from district to district, their tremendous growth, the speed with which they spread, the courage of the workers, the increased number of mass meetings and revolutionary speeches, the demand that the fines imposed for celebrating May Day be cancelled, and the combination of the political and the economic strike, familiar to us from the time of the first Russian revolution, are all obvious indications of the true nature of the movement, which is a revolutionary upswing of the masses. Let us recall the experience of 1905. Events show that the tradition of the revolutionary mass strike lives on among the workers and that the workers at once took up and revived this tradition. The strike wave of 1905, unprecedented in the world, involved 810,000 strikers during the first, and 1,277,000 during the last quarter of the year, being a combination of the political and the economic strike. According to tentative estimates, the strikes over the Lena events involved about 300,000 workers and the May Day strikes about 400,000, and the strike movement continues to grow. Every day the newspapers, even the liberal ones, bring news of how the wildfire of strikes is spreading. The second quarter of 1912 is not quite over, and yet it is already becoming quite obvious that, as regards the size of the strike movement, the beginning of the revolutionary upswing in 1912 is not lower, but rather higher than the beginning in 1905! The Russian revolution was the first to develop on a large scale this proletarian method of agitation, of rousing and uniting the masses and of drawing them into the struggle. Now the proletariat is applying this method once again and with an even firmer hand. No power on earth could achieve what the revolutionary vanguard of the proletariat is achieving by this method. A huge country, with a population of 150,000,000 spread over a vast area, scattered, oppressed, deprived of all rights, ignorant, fenced off from “evil influences” by a swarm of authorities, police, spies—the whole of this country is getting into a ferment. The most backward sections both of the workers and the peasants are coming into direct or indirect contact with the strikers. Hundreds of thousands of revolutionary agitators are all at once appearing on the scene. Their influence is infinitely increased by the fact that they are inseparably linked with the rank and file, with the masses, and that they remain among them, fight for the most urgent needs of every worker’s family, and combine with this immediate struggle for urgent economic needs their political protest and struggle against the monarchy. For counter-revolution has stirred up in millions and tens of millions of people a bitter hatred for the monarchy, it has given them the, rudiments of an understanding of the part played by it, and now the slogan of the foremost workers of the capital—long live the democratic republic!—spreads through thousands of channels, in the wake of every strike, reaching the backward sections, the remotest provinces, the “people”, the “depths of Russia”! That is how the liberal reasons! And this piece of infinite vulgarity, meanness and nastiness is sympathetically accept ed by the “best” liberal papers, which claim to be democratic! The crudest self-interest of a bourgeois, the vilest coward ice of a counter-revolutionary—that is what lies behind the florid phrases of the liberal. He wants the pockets of the employers to be safe. He wants an “orderly” and “harmless” demonstration in favour of “freedom of association”! But the proletariat, instead of this, is drawing the masses into a revolutionary strike, which indissolubly links politics with economics, a strike which wins the support of the most backward sections by the success of the struggle for an immediate improvement in the life of the workers, and at the same time rouses the people against the tsarist monarchy. Yes, the experience of 1905 created a deep-rooted and great tradition of mass strikes. And we must not forget the results that these strikes produce in Russia. Stubborn mass strikes are inseparably bound up in our country with armed uprising. Let these words not be misinterpreted. It is by no means a question of a call for an uprising. Such a call would be most unwise at the present moment. It is a question of establishing the connection between strike and uprising in Russia. How did the uprising grow in 1905? Firstly, mass strikes, demonstrations and meetings made clashes between the people and the police and troops more and more frequent. Secondly, the mass strikes roused the peasantry to a number of partial, fragmentary, semi-spontaneous revolts. Thirdly, the mass strikes very soon spread to the Army and Navy, causing clashes on economic grounds (the “bean” and similar “mutinies”), and subsequently insurrections. Fourthly, the counter-revolution itself started civil war by pogroms, by Violence against democrats, and so on. The revolution of 1905 was defeated not because it had gone “too far”, or because the December uprising was “artificial”, as renegades among the liberals, and their like imagine. On the contrary, the cause of the defeat was that the uprising did not go far enough, that the realisation of its necessity was not sufficiently widespread and firmly assimilated among the revolutionary classes, that the up rising was not concerted, resolute, organised, simultaneous, aggressive. Let us see now whether signs of a gathering revolt are in evidence at present. In order not to be carried away by revolutionary enthusiasm, let us take the testimony of the Octobrists. The German Union of Octobrists in St. Petersburg consists mainly of so-called “Left” and “constitutional” Octobrists, who are particularly popular among the Cadets, and who are most capable (in comparison with the other Octobrists and Cadets) of observing events “objectively”, without making it their aim to frighten the authorities with the prospect of revolution. “May has come. Regardless of the weather, this is usually not a very pleasant month for the inhabitants of the capital, because it begins with the proletarian ‘holiday’. This year, with the impression of the Lena demonstrations still fresh in the minds of the workers, May Day was particularly dangerous. The atmosphere of the capital, saturated with all sorts of rumours about strikes and demonstrations, portended a fire. Our loyal police were visibly agitated; they organised searches, arrested some persons and mobilised large forces to prevent street demonstrations. The fact that the police could think of nothing more clever than to raid the editorial offices of the workers’ papers and arrest their editors does not testify to a particularly intimate knowledge of the wires by which the puppet regiments of the workers were pulled. Yet such wires exist. This is evident from the disciplined character of the strike and from many other circumstances. That is why this May Day strike, the largest we have witnessed so far, was so ominous—there were some 100,000 or perhaps even 150,000 workers of big and small workshops on strike. It was only a peaceful parade, but the solid unity of that army was remarkable, all the more because the recent unrest among the workers was accompanied by other alarming facts. On various naval vessels, sailors were arrested for conducting revolutionary propaganda. Judging by all the information that has got into the press, the situation is not very good on our naval vessels, which are not numerous as it is.... The railwaymen are also giving cause for anxiety. True, matters nowhere went so far as an attempt to call a strike, but arrests, including such a conspicuous one as that of A. A. Ushakov, an assistant station master on the Nikolayevskaya Railway, show that there is a certain danger there as well. “Attempts at revolution on the part of immature worker masses can, of course, have only a harmful effect on the outcome of the Duma elections. These attempts are all the more unreasonable because the Tsar has appointed Manukhin, and the Council of State has passed the workers’ Insurance Bill”!! That is how a German Octobrist reasons. We, on our part, must remark that we have received exact first-hand information about the sailors which proves that Novoye Vremya has exaggerated and inflated the matter. The Okhrana is obviously “working” in agent provocateur fashion. Premature attempts at an uprising would be extremely unwise. The working-class vanguard must understand that the sup port of the working class by the democratic peasantry and the active participation of the armed forces are the main conditions for a timely, i.e., successful, armed uprising in Russia. Mass strikes in revolutionary epochs have their objective logic. They scatter hundreds of thousands and millions of sparks in all directions—and all around there is the inflammable material of extreme bitterness, the torture of unprecedented starvation, endless tyranny, shameless and cynical mockery at the “pauper”, the “muzhik”, the rank-and-file soldier. Add to this the perfectly unbridled, pogromist Jew-baiting carried on by the Black Hundreds and stealthily fostered and directed by the Court gang of the dull witted and bloodthirsty Nicholas Romanov. “So it was, so it will be”—these revealing words were uttered by the Minister Makarov, to his own misfortune, and to the misfortune of his class and his landlord tsar! The revolutionary upswing of the masses imposes great and responsible duties on every working-class Social-Democrat, on every honest democrat. “All-round support for the movement of the masses that is beginning [we should say already: the revolutionary movement of the masses that has begun], and its expansion on the basis of full implementation of the Party slogans”—this is how the All-Russia Conference of the R.S.D.L.P. defined these duties. The Party slogans—a democratic republic, an eight-hour day, confiscation of all the landed estates—must become the slogans of all democrats, of the people’s revolution. To be able to support and extend the movement of the masses, we need organisation and more organisation. Without an illegal party we cannot carry on this work, and there is no point in just talking about it. In supporting and extending the onslaught of the masses, we must carefully take into account the experience of 1905, and in explaining the need for and inevitability of an uprising, we must warn against and keep off premature attempts. The growth of mass strikes, the enlistment of other classes in the struggle, the state of the organisations, and the temper of the masses will all suggest of themselves the moment when all forces must unite in a concerted, resolute, aggressive, supremely courageous onslaught of the revolution on the tsarist monarchy. Without a victorious, revolution there will be no freedom in Russia. Without the overthrow of the tsarist monarchy by a proletarian and peasant uprising there will be no victorious revolution in Russia. See present edition, Vol. 17, p. 467.—Ed. 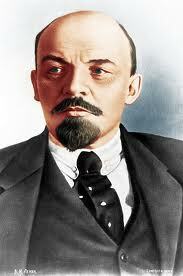 The article “The Revolutionary Upswing” was published early in June 1912, after Lenin had made, at. a meeting of the Paris section of the R.S.D.L.P. Organisation Abroad, a report on developments in Russia (April 26 [May 9], 1912) and read a paper entitled “The Revolutionary Upswing of the Russian Proletariat” (May 31 [June 13]). A printed notice issued by the Paris section of the R.S.D.L.P. Organisation Abroad gave a detailed outline of the paper coinciding with the main propositions of this article. Sotsial-Demokrat (The Social-Democrat)—the Central Organ of the R.S.D.L.P., published illegally from February 1908 to January 1917. In all 58 issues appeared. The first issue appeared in Russia, and then publication was transferred, first to Paris and afterwards to Geneva. By decision of the Central Committee of the R.S.D.L.P., the Editorial Board consisted of representatives of the Bolsheviks, Mensheviks and Polish Social-Democrats. Sotsial-Demokrat published more than eighty articles and other items by Lenin. On its Editorial Board Lenin upheld a consistently Bolshevik line. Two members of the Board—Kamenev and Zinovyev—took a conciliatory view of the liquidators and tried to defeat Lenin’s line. Another two members, the Mensheviks Martov and Dan, obstructed the work of the Board and at the same time openly defended liquidationism in Golos Sotsial-Demokrata. Lenin’s uncompromising struggle against the liquidators resulted in Martov and Dan resigning from the Editorial Board in June 1911. From December 1911 the newspaper was edited by Lenin. The leaflet mentioned by Lenin was printed in St. Petersburg and circulated at the factories before May 1, 1912. It called on the workers to hold meetings and demonstrations in Nevsky Prospekt on May Day, under the slogans put forward by the Sixth (Prague) All-Russia Conference of the R.S.D.L.P. : “A constituent assembly, an eight-hour working day, and confiscation of the landed estates.” The leaflet ended with the militant appeals: “Down with the tsar’s government! Down with the autocratic Constitution of June 3! Long live a democratic republic! Long live socialism!” It was signed: “Meeting of Representatives of All Organised Workers of St. Petersburg”, “Social-Democratic ‘Unity’ Group”, “City Central Social-Democratic Group”, “Group of Worker Socialist-Revolutionaries”, “Group of Worker Social-Democrats of St. Petersburg”, and “Representatives of May Day Committees”. On June 4 (17), 1912, the full text of the leaflet was published in the news section of Sotsial-Demokrat No. 27. The December uprising was the armed uprising of the Moscow workers against the autocracy in December 1905. For nine days the workers, led by the Moscow Bolshevik Social-Democrats, fought gallantly on the barricades against the tsar’s troops. The government did not succeed in crushing the revolt until fresh troop. arrived from St. Petersburg. It dealt with the insurgents with monstrous cruelty; the workers’ districts ran with blood, and thou sands of workers were killed in Moscow and the vicinity. The Okhrana was an agency of the secret police in tsarist Russia, in charge of political investigation. It was under the jurisdiction of the Police Department.